Bienvenido!!! Cerveza Artesanal..... 1st Microwbrewery in Montañita, Ecuador. to the newest adventure on Montañita, Ecuador: Montañita Brewing Company. The first oceanfront microbrewery in Latin America. and Hard Ciders. We also serve home distilled american whisky, "sin chuchaki". Thats right, so pure, no hangover! also provides great quality good with the freshest ingredients. We will have the best fish tacos south of Mexico, daily sushi, sashmi, and vegetarian Pogos. low season at different businesses and restaurants. We will be working with local farmers, organically, for the cacao, coffee, and honey. 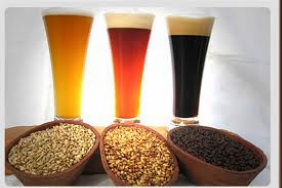 We will also be making seasonal, special beers on a monthly basis. body, and let them experience the difference. Please keep posted with times and dates of tastings, and the seasonal flavors.